All these onsite ground-based activities take place on our 30 acre site and some can be led by visiting staff/leaders instead of our qualified instructors. A great evening activity. 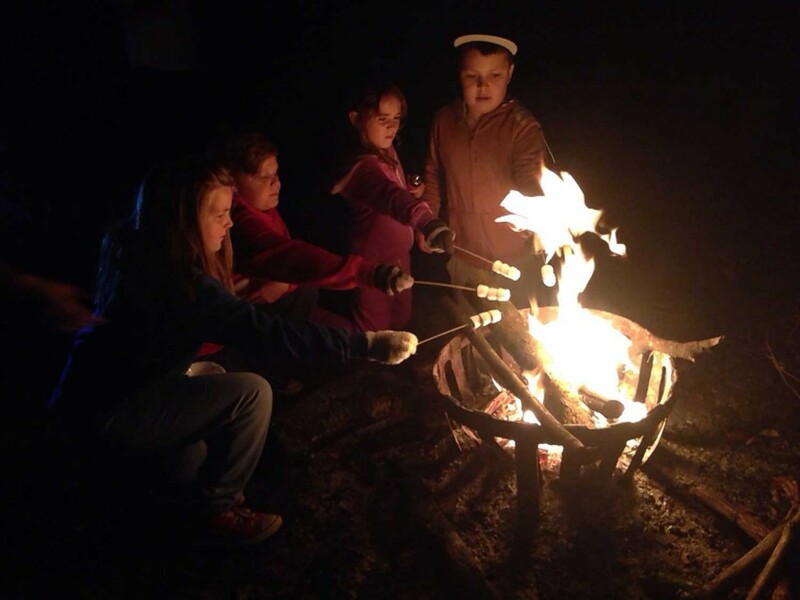 Use our designated campfire spots to toast marshmallows / sing songs / recount stories with your group whilst sharing the warmth of a campfire. Build a fire, sing and toast marshmallows together. Learn how to build and sustain a fire. Learn about the fire triangle and fire lighting. Singing in front of your peers can be a good challenge for some. One of the more sedentary activities. There’s level access to our main campfire area which is near to our car park. The self-catering kitchens are ideal for introducing cooking skills. 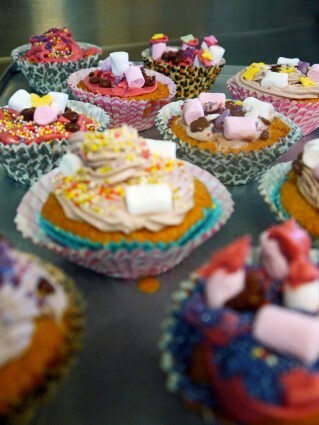 Many groups take advantage of this facility and include a baking session in their programme. 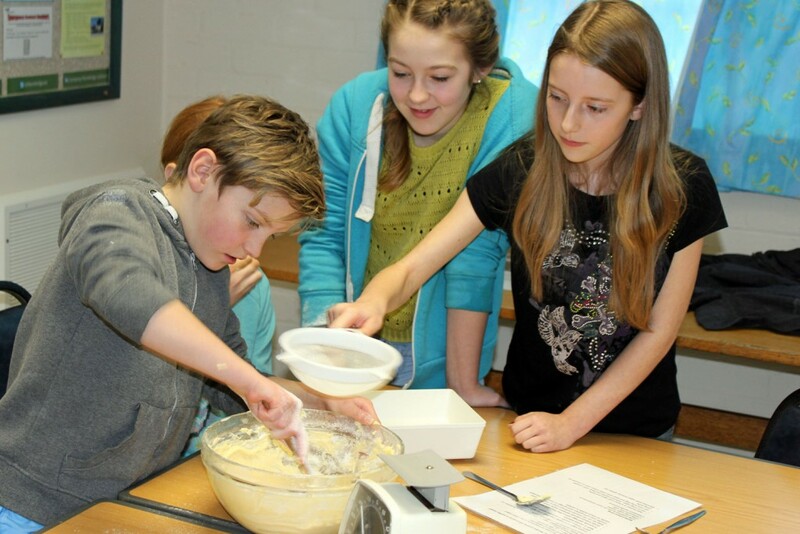 Work together, reading recipes, weighing ingredients and creating something delicious. Reading and deciphering recipes, measuring and weighing ingredients, operating kitchen appliances, all contribute to essential life skills. Learn about different cooking and baking methods. 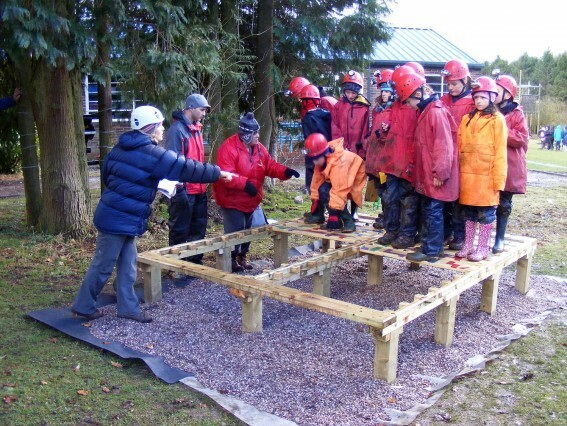 Working together as a group to organise and produce an end product can create some challenges. All our kitchen areas have easy access. Use our designated den building area and den building kit, to design and build your own den. Will it be waterproof?! 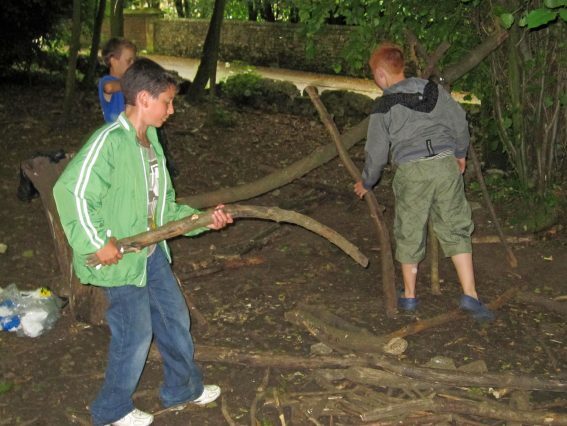 Work with your team to build a den in our woods. Can your team come up with some great construction ideas? Knot tying, linking your tarps together and construction of a base out of branches all need some skills. Learn which type of den construction works best. Some parts of this activity can create personal challenges. There is some physical activity involved lifting and carrying construction materials. Our den building area is accessed by paths and tracks. 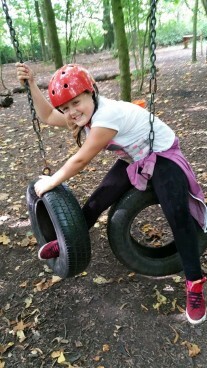 This activity has lots of different elements within it and therefore caters for all abilities. Starting with a fun bean-bag name game, we follow on with safety, survival and animal habitats. Pebble dens are always a highlight, so make sure you have a camera to hand for the finished products! 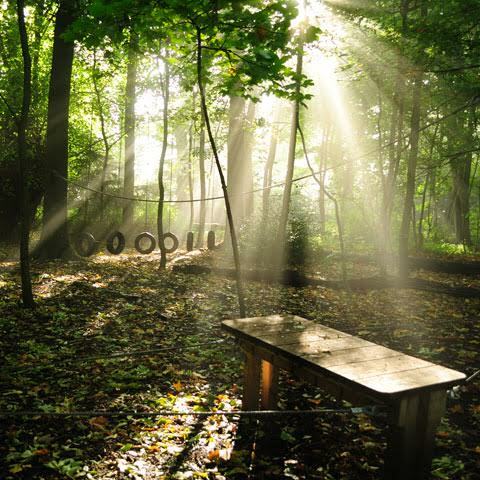 The dens give the opportunity to go exploring in the woods, working individually or in a group. Get to grips with how to use a fire steel and contribute to a larger fire to make popcorn for everyone. Work together to use the fire steels and build some mini dens. Creating sparks from the fire steels can be a tricky skill to master but will be achieved by everyone with practice. 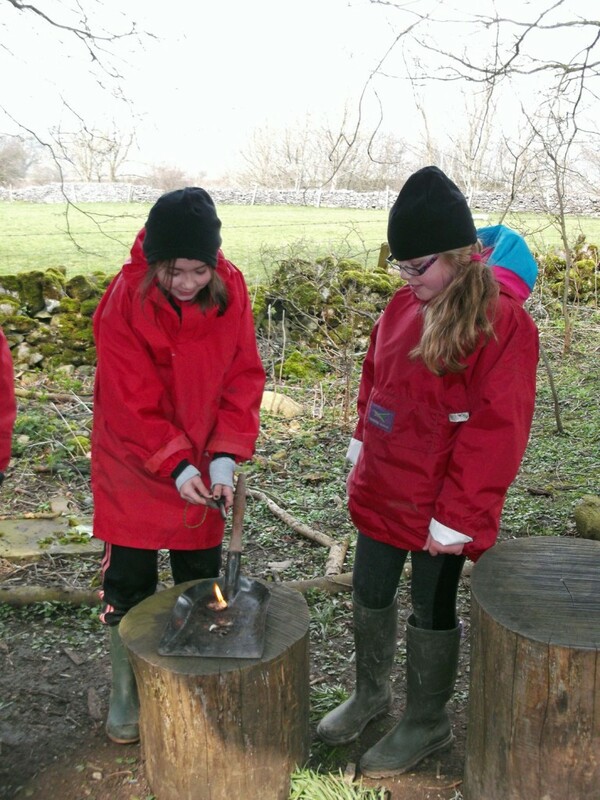 Learn about, safety, survival, the fire triangle, fire steels and much more with this extremely varied activity. Can you get a spark from your fire steel to create fire? 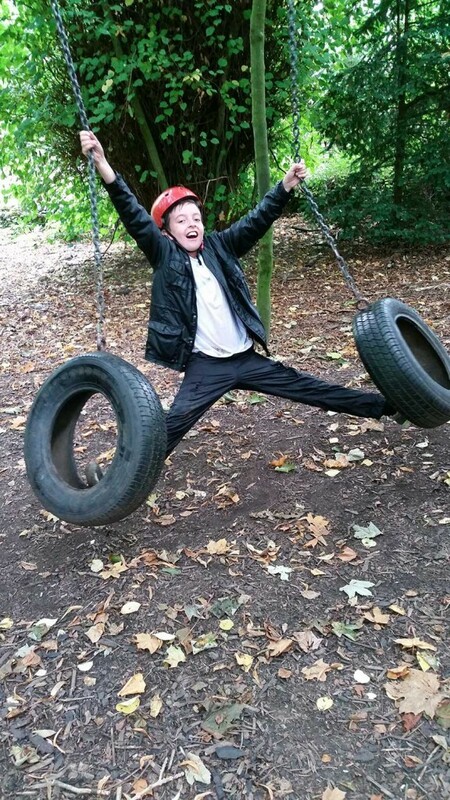 Exploring in the woods creates some physical activity. The fire lighting area is tucked away in our grounds but is accessed along flat paths. See our courses page to book. This is our most popular activity! 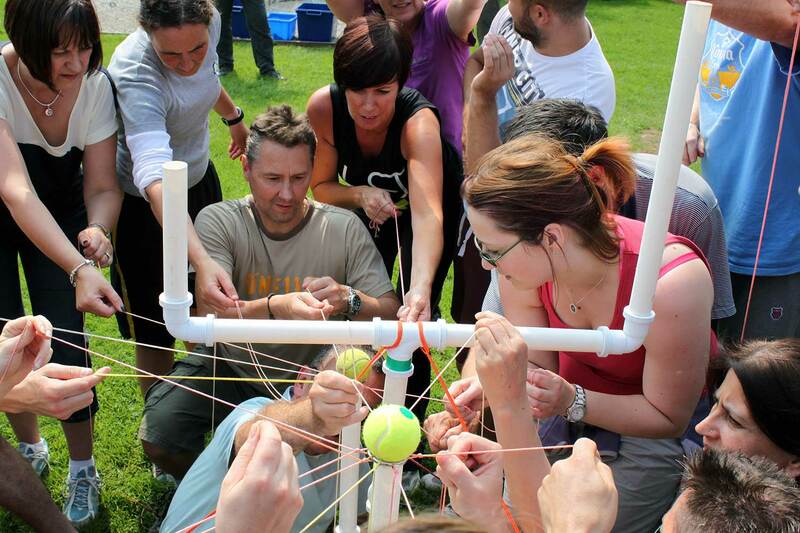 A great team activity, which can be adapted to suit the age and ability of the group and is ideal for developing team work / trust / confidence etc. A fantastic and great fun activity to promote working together. Climb, balance, crawl, jump and much more! A great mix of 20 different challenges throughout the course. Plenty of physical challenges on the majority elements. Accessible along flat woodland footpaths, no harnesses required but movement required to get on and off the elements of the course. A rope course through the woods. Participants must follow the rope wherever it goes! 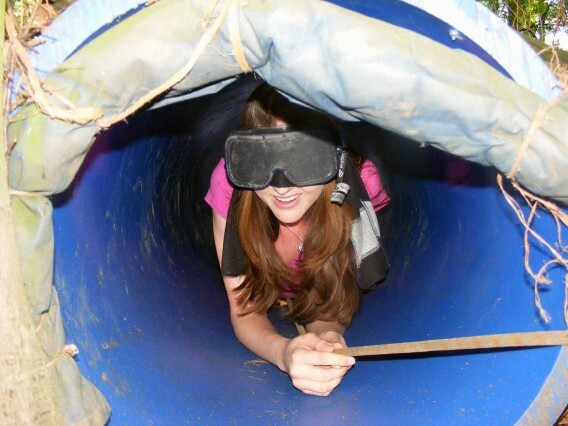 This activity can be done at night or during the day, as blindfolds and goggles are provided. Trust your team members as you make your way along the line in darkness. Communicating is essential between each other. Some coordination skills will be required. Different senses will come into play during this activity which can be discussed afterwards. This does not require much physical activity. There are paths to the nightline but the ground through the nightline is undulating and quite steep in places. 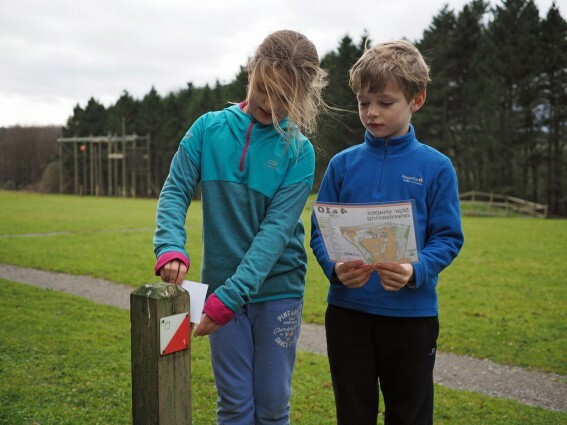 We have a number of permanent orienteering courses in place around our grounds. From the circular star course (good for introducing map skills and orientation) to the whole site orienteering. Our courses are designed so that participants can progress through the levels of difficulty as they become more competent at the sport. Orienteering is often seen as a good introductory activity and a way for groups to get to know their way around the site. Working together in pairs or threes is encouraged. Many skills are involved in this activity. Learn how to orientate a map, work out where you are, interpret the map and find your points. Reading the map correctly and finding the orienteering point can be very challenging on our 30 acre site. Walk or run to find the various points. 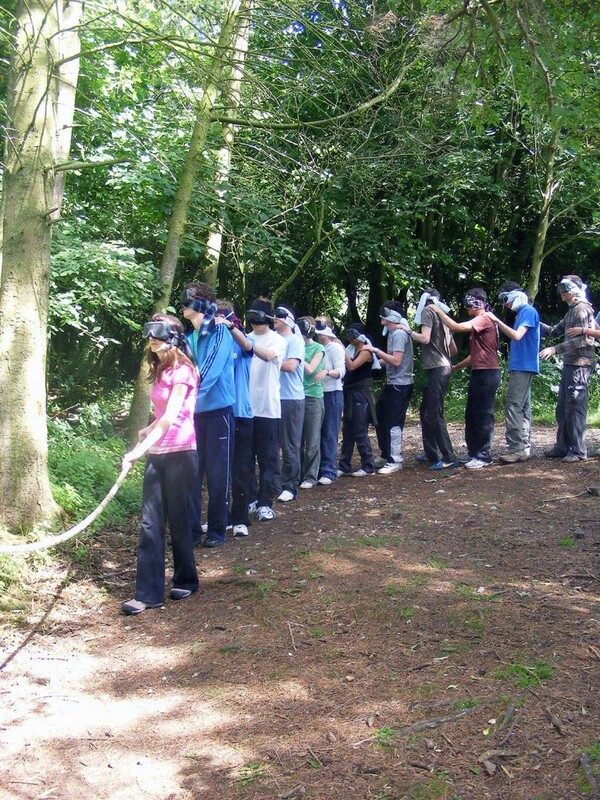 We have a wide range of orienteering courses and some are accessible. 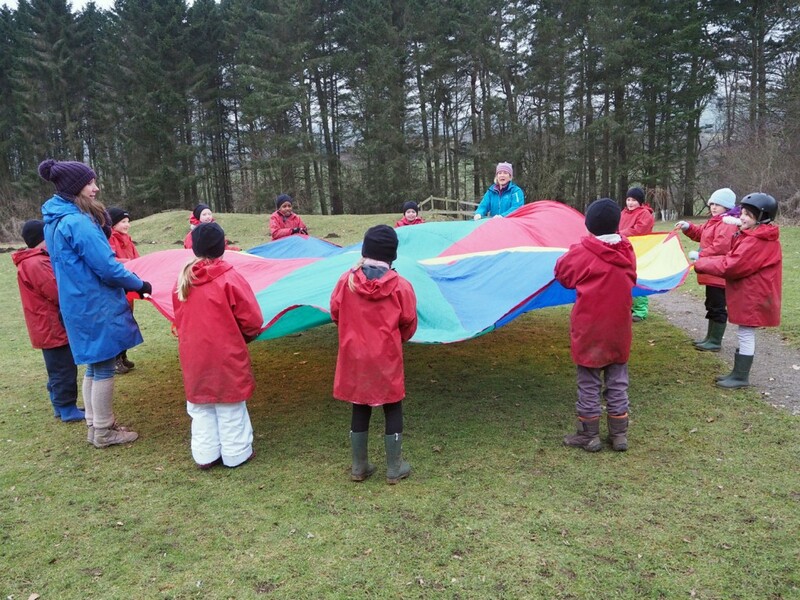 A fun activity using a giant parachute. 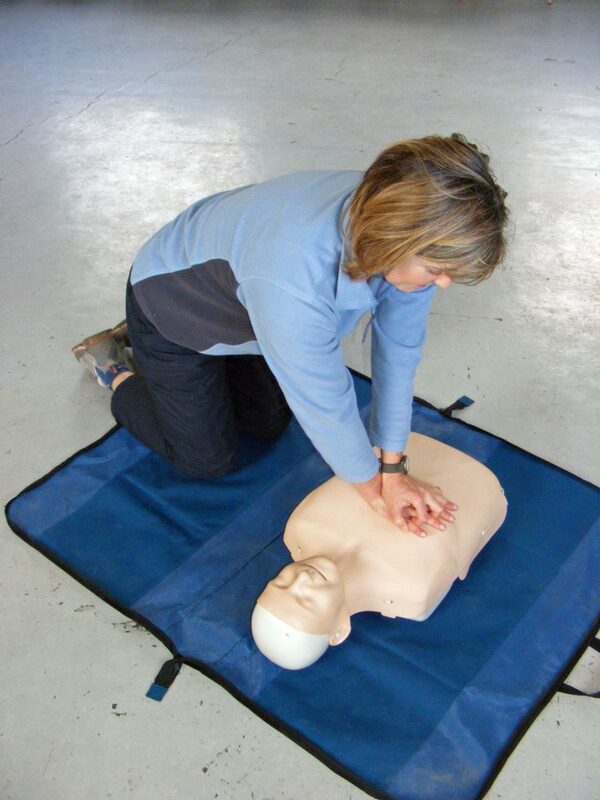 A good introductory activity or even whilst out on a walk. The parachute games need everyone to participate for a successful outcome. Learn to control the parachute in different ways. Can you catch a team mate under the parachute or catch them as you run round it? 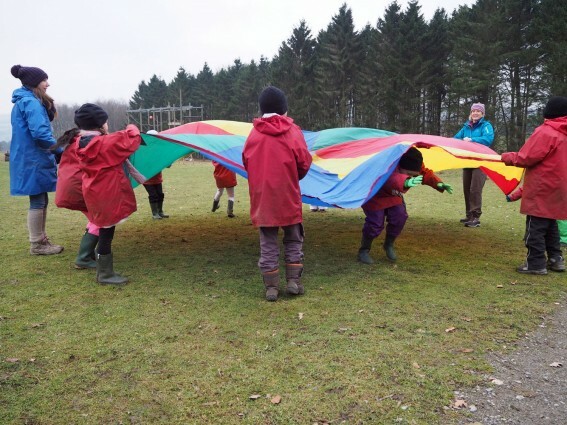 There are many different games to play with the parachute; many of them require you to run around as well as keeping the parachute moving using your arms. Everyone can have fun with the parachute. Using the photos provided, you must find the clues hidden around our grounds. Once you have collected all the clues, can you crack the code and find out more information about the Peak District? Work in pairs or threes to spot and record your clues. 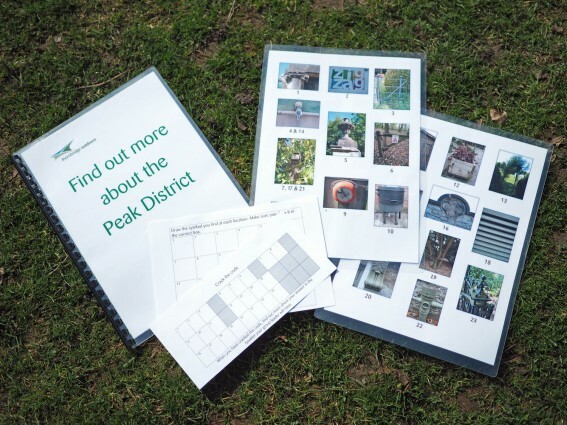 Crack the code when you have found all the points and learn about the Peak District using our information booklet. Are you observant enough to find the clues? Plenty of running around to find all the points. The treasure hunt is around the accommodation areas and most points are accessible. Ideal for developing team work / co-operation / leadership and communication skills for groups of all ages and abilities. Some problem solving tasks are mentally challenging whilst others require a more physical input. We can help select the right tasks for your group, which are challenging, yet inclusive, to ensure that all members of your group can take part. 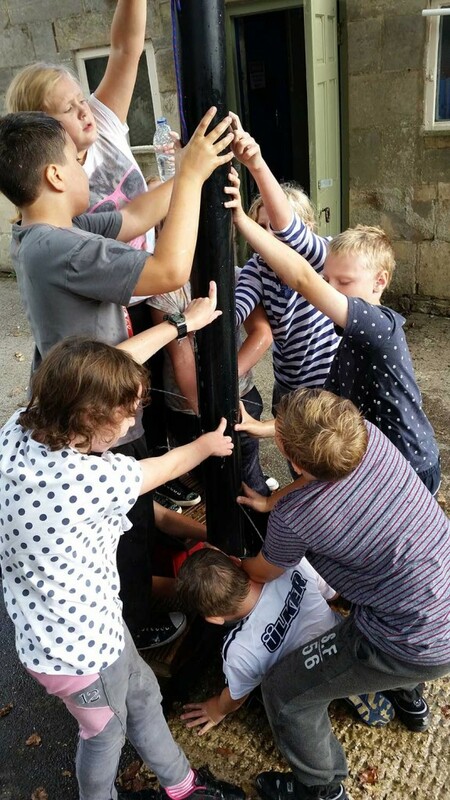 All the activities we have provide excellent opportunities for team work. 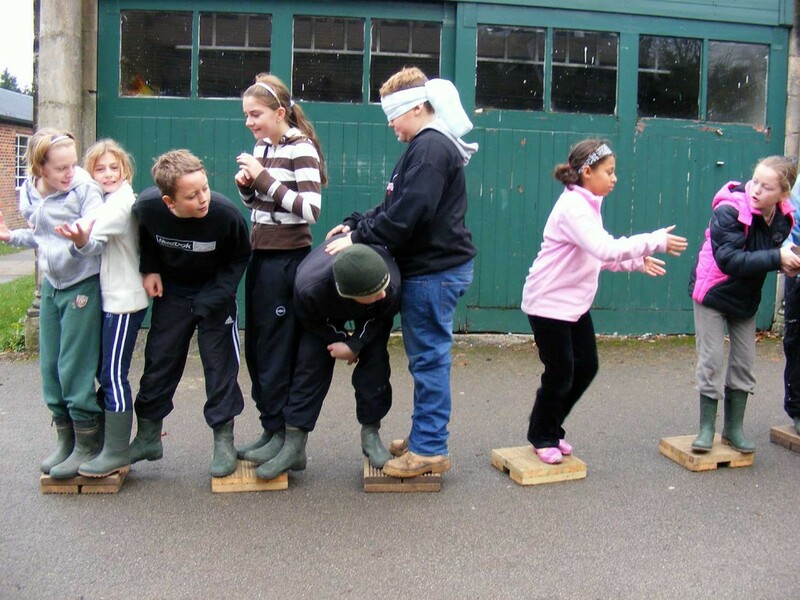 Coordination skills are required for many of the problems. Learning the different ways that an activity can be solved within a team. Mental and physical challenges are required. Some of the challenges require physical activity. 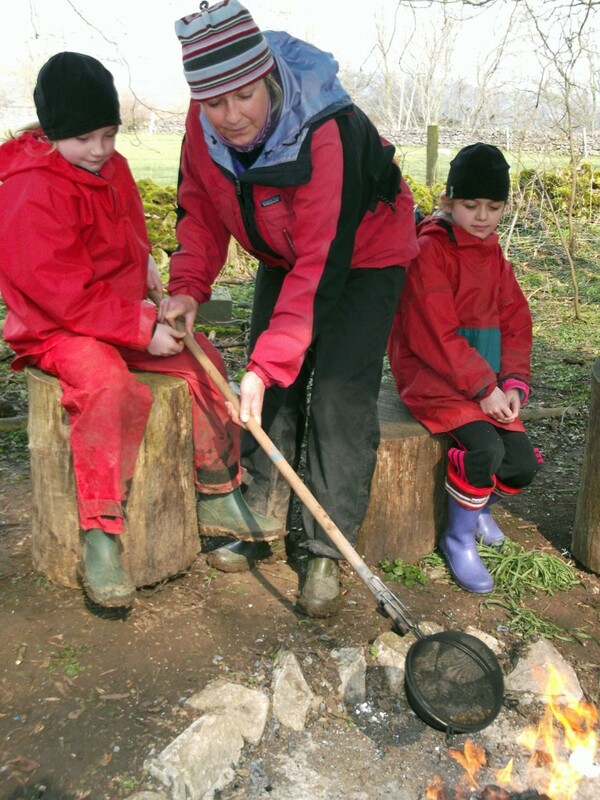 We have a range of problem solving activities and many are accessible. Work together as a team to take on the Wizard’s challenges, including a tunnel system, rope swing, giant seesaw and more, to earn stars, collect clues and hopefully discover the hidden treasure! A focus upon team working across all of the wizard’s challenges along with ongoing reviews of the team. The focus is on team working and communication skills. Key details and ideas for working in a team are shared and reviewed. Joining your team in the Wizard’s mole holes, on the Wizard’s boulder & swing all require courage. The challenges are spread around the site and everybody gets stuck in. Some elements are more accessible than others but they are spread widely across the site.